The sun drenched slopes of the Saddle Mountains produce some of the finest wine grapes in the world. 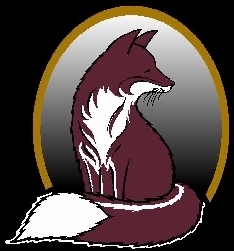 Almost thirty years and three generations ago, the Fox family recognized the potential of this wonderfully arid environment and began an agricultural operation that has evolved to include the Fox Estate Winery. We are a small, family owned and operated winery located just off Highway 243 South in Mattawa Washington, which lies on the east side of the Columbia River twenty miles south of the Gorge Amphitheater. Our family actually began planting grapes twenty five years ago, starting with the varieties of Riesling and Gewuerztraminer. We currently have over forty acres in limited production, and another sixty acres that were planted Spring 2002 Once we reach peak production in three to four years, we will produce the varieties of Merlot, Cabernet Sauvignon, Cabernet Franc, Sangiovese, Syrah, Riesling, Gewuerztraminer. In 2001, the year in which we premiered our first vintages in our own label, we bottled approximately 400 cases of the 1999 Cabernet Sauvignon and 500 cases of the 1999 Merlot. While the grapes used for these vintages were local Mattawa grapes, they were not from our vineyards. We are confident that as we move closer and closer toward using own grapes exclusively, the quality of our wines will continue to rise. In 2002 we have recently bottled almost one thousand cases of 2001 Riesling, which has received the highest rating from Northwest Wine Press Magazine, a unanimous vote of "Outstanding". As for the Merlot, Bob Woehler, columnist for Wine Press Northwest, has written about our 1999 Merlot " "It is very bright, fruity, tasty , and easy to drink. " We would like to suggest that you look out for black licorice and dark cherries when tasting. As a family operation, one of our beliefs is a commitment to customer satisfaction.